Yesterday, the ICJ or International Court of Justice had asked Pakistan to ensure Kulbhushan Jadhav is not executed till its final verdict in the case. India said it had received no information from Pakistan about Kulbhushan Jadhav. New Delhi: India may have got a breather from the International Court of Justice (ICJ) in the Kulbhushan Jadhav case but his well-being still remains a matter of concern as Pakistan has provided no information about his location or his health condition. 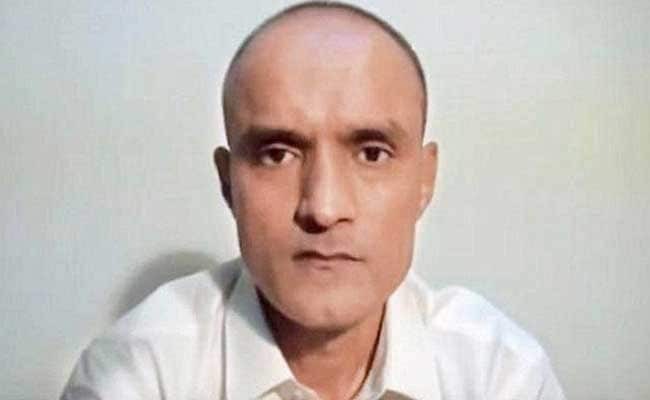 The ICJ had yesterday stayed the execution of 46-year-old Mr Jadhav, who was sentenced to death last month by a Pakistan military court that convicted him of spying and subversive activities in a trial that India termed 'farcical'. The retired Indian Navy officer has been in Pakistan custody for more than a year. According to government sources, since the case has reached the international court, it is incumbent on Pakistan to produce "material evidence" about his whereabouts and well- being. Asked if the government has information on Mr Jadhav's location in Pakistan, External Affairs Ministry Spokesperson Gopal Baglay said, "As of today, the Pakistan government has not provided any information about Jadhav's condition or where he has been kept there. This has been a matter of concern." Last month, India had also asked the Pakistan government to provide a report on his medical condition. On Mr Jadhav's appeal process, he said, "Unfortunately, India has no information on the issue." There is also no information on what has happened to the appeal by Mr Jadhav's mother which was handed over to the Pakistan foreign secretary by the Indian high commissioner in Islamabad, he added. According to the Pakistani side, Mr Jadhav had 40 days to appeal from the date of verdict which was April 10. Mr Baglay also noted that as per the information available, Pakistan has also not taken any action on the visa request by Mr Jadhav's family to travel to Pakistan to meet him and appeal in person, if required. Pakistan claims its security forces arrested the Indian national from its restive Balochistan province on March 3 last year after he reportedly entered from Iran. However, India maintains that he was kidnapped from Iran where he had business interests after retiring from the Navy.